Fourteen years ago, David Melechin bought himself a new canoe. Little did he know that boating would soon become more than a hobby it would be his sideline business. Few things scream for more attention in the bustling L.A. economy than an idle 160 acres of commercial property. Northrop Grumman Corp. has signed a purchase and sale agreement with Irvine-based developer Sares-Regis Group for 157 acres in Pico Rivera that Majestic Realty Corp. had been vying to develop. As the Aug. 15 deadline for voting draws near, proponents of a plan to create a business improvement district in Chinatown believe the measure is increasingly likely to pass. The media, members of Congress and civil libertarians alike seem to have developed an overly voracious appetite for Carnivore. If the owners of Lucy's LaundryMart have their way, customers like Rene Lozada and his family will never want to go home. Los Angeles-area retail sales are projected to grow less this year than last, though boutique stores seemed to fare better than larger retailers in the first half of 2000. The entire media and advertising industry is very curious about how the future of television is going to work. Televisual research and consulting firm ASI Entertainment in Glendale has partnered with TiVo and Nielsen Media Research to find out. ECONOMY---Trade Boom Fuels Strong Economic Forecast for L.A. The Los Angeles economy is chalking up a year of exceptionally strong growth, according to the latest forecast from the Los Angeles County Economic Development Corp.
After scoring a coup by organizing the biggest subcontractor at Los Angeles International Airport last month, labor leaders are now expanding their quest to unionize security workers, skycaps and other service providers throughout LAX. Thanks to a sudden push of online reservation services in L.A., Angelenos will find it much easier to make restaurant reservations by computer, and restaurants will be able to keep much better track of their customers. Here's one of prosperity's interesting side effects. A higher proportion of young women especially higher-earning women appear to be choosing motherhood over career. ENTREPRENEUR'S NOTEBOOK---How Do You Spell Success When Giving Presentations? You've been making presentations inside and outside your company. People have started to say you're getting pretty good at this public speaking thing. Tim Leiweke has been promoted to overseer of Philip Anschutz's entire billion-dollar sports empire, which stretches from L.A. to Europe. Everyone in business is anxious to reach the free-spending youth market, but how do you hit a moving target? Considering some of the high-tech Mercedes-Benz models selling out at local showrooms, a Jetsons-style flying car doesn't seem like such a fanciful notion anymore. If you ever wondered whether society is going to the dogs, or the cats, wonder no more. It is. Digital photography may be the way of the future, but for some of the most discerning photographers, nothing beats film and the old-fashioned developing and printing process to achieve the highest quality images. An unusual jobs program at the giant Playa Vista project, focused on putting "at-risk" people to work, may hold out hope that social ills and labor shortages could be alleviated simultaneously. County Supervisor Yaroslavsky is still on the fence over whether to run for L.A. mayor. But he's keeping plenty busy with everything from health care reform to pro football to the Democratic National Convention. Some of the world's most respected medical specialists work at the UCLA Medical Center. Or at least they used to. She was everywhere you looked. Television. Newspapers. Magazine covers all because she was about to declare her homosexuality. One of the biggest blocks of space in the Chatsworth market was snatched up last week by the County of Los Angeles in a 10-year, $34 million lease deal. You've probably read that you can be tracked like an animal through the Internet. Wherever you go, you leave a trail that clever cybersleuths can follow. Domain-Name Registries Show Local Internet Community Is Enormous Virtual L.A.
A few weeks ago, I got a call saying John Vitale was sick; cancer had him in its grasp. Here's heartening news for New Age investors who've been worrying about whether and when the great boom in Internet stocks might revive. Univision Communications Inc. last week proved once again that it's a money-making machine, reporting another quarter of impressive earnings. Sandy Koufax's perfect game. Fernandomania. Garvey, Lopes, Russell and Cey. Kirk Gibson's ninth-inning, two-out home run to win the first game of the 1988 World Series. Tommy Lasorda yelling at umpires. Vin Scully calling the game. Over the past two years, as the office real estate market recovered from the recession of the 1990s, many second-tier buildings in the San Fernando Valley lagged behind. The recent history of cleaning up and redeveloping contaminated sites might lure the casual observer into thinking that the dark days of the past are dead and gone. Sadly, such reports are premature. What's fair when ex-spouses battle over whom owes an unpaid income tax? How expensive did Congress intend that battle to be? 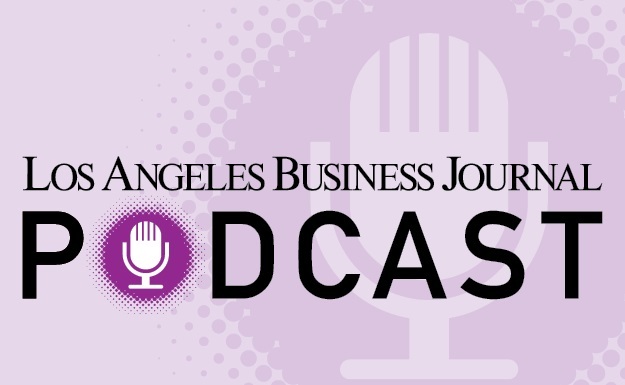 The Los Angeles Business Journal was named "best newspaper" by the Association of Area Business Publications, for the second consecutive year. For nearly 20 years, Susan Lieberman has been the owner and sole employee of Paris 1900, a vintage bridal shop in Santa Monica specializing in antique lace and garment restorations. The Tri-Cities office market experienced an unusual reversal during the second quarter, with long-struggling Glendale experiencing a dramatic drop in its vacancy rate while once-smoking Burbank and Pasadena suffered a net loss in tenancy. Interactive webcast software provider Rotor Inc. and online entertainment company Stan Lee Media have signed a one-year deal to jointly develop interactive programming. The multibillion-dollar Alameda Corridor project has been a windfall for minority contractors, making it a national model for public projects. Seated on a couch in his Sherman Oaks office on a recent morning, Henry Dahut talked about the genesis of his Internet startup GotTrouble.com as his three-man documentary crew recorded the event for prosperity's sake. Environmental engineers have come a long way since the days when contaminated sites were cleaned up simply by scooping out the toxic waste and hauling it away. Of the countless polluted sites throughout Los Angeles, here are five that arguably hold the most promise for being cleaned up, redeveloped and redeployed to accommodate future economic growth. No one's predicting a downturn anytime soon, but the Los Angeles County real estate market's furious "bubble" runup of earlier this year is downshifting to a more balanced, moderate pace. Big StoryWeary workers leaving their Wilshire Boulevard offices last week were probably wondering whether they were hallucinating. The following once-polluted sites represent some of L.A.'s greatest turnaround stories. Many of these parcels sat unused for years, but now are either home to major existing redevelopment projects or are the sites of proposed improvements. Bob Hope has "Thanks for the Memories." Andy Williams sings "Moon River." Lately some stock mutual funds have sought to win fans among investors with themes of their own. SCULPTURE --- Angels Land in L.A.
Last year, an exhibit of wacky cow sculptures strewn in public places throughout Chicago drew thousands of tourists to that city and pumped hundreds of millions into its economy. Advertising & P.R.George Minter became principal at the newly named public affairs consulting firm of Greer/Dailey/Minter in Los Angeles. He will oversee all client services. Minter was previously director of public affairs at Southern California Gas. Even as more new developments pour into the heated Mid-Cities industrial market, brokers report that buying and leasing activity is starting to slow. While Vicente Fox's recent election as Mexico's new president was largely hailed in the United States as a step in the right direction, it also produced the usual backlash from organized labor, economic protectionists and xenophobes. Real Estate Quarterly --- Cleanup Specialists Finding No Shortage of Jobs in L.A.
Lockheed Martin Corp. has two good reasons for cleaning up the toxic materials that pollute its 100-acre site near Burbank Airport. An odd dichotomy is taking place in the Santa Clarita Valley: Even as its industrial market continues to tighten, its office market is having serious problems. The history of the former Franciscan Ceramics site in the Atwater Village section of Los Angeles has all the makings of a Hollywood movie. Earlier this year, downtown boosters were crowing about the telco insurgence into downtown. Last year, it was the promise of Staples Center. Interest in putting L.A. infill sites back into productive use is ramping up like never before, as developers and elected officials turn their attention back to the urban core. The landmark statue of a 10-foot-tall horse and its human companion alongside an old bank building at Manchester Avenue and South Sepulveda Boulevard has a new lease on life. Inland Empire's huge and growing hub of warehousing/distribution facilities is mushrooming, spurred on by the area's broad expanses of developable land, relatively affordable rents and robust foreign trade activity through local ports. It looks like someone has thrown a wet blanket over the stock price of Strouds Inc., but the company hopes to remedy that by repositioning itself. Tribune Co., in its first earnings report since buying Times Mirror Co. for $8 billion, said second-quarter profit rose 14 percent on the popularity of its WB network-affiliated television stations. The eastward migration of media and Internet companies continued in the second quarter, with businesses moving from the pricey Westside to cheaper digs closer to the central city along Wilshire Boulevard. A string of translucent monoliths is emerging along the center median of Century Boulevard, culminating in a huge ring of more monoliths at the threshold of Los Angeles International Airport. In what could be a sign that the local economy is growing stronger while the rest of the state slows down, unemployment in L.A. County dropped to a seasonally adjusted 5.4 percent in June. A festering dispute between residents and a developer over a proposed apartment complex illustrates the growing pains being experienced in Valencia, which is rapidly changing from a sleepy suburb into a major residential and business community. While other downtown redevelopment projects may be getting a lot more attention, one of the most ambitious of them all is taking shape far out of the spotlight. A few years ago, Dr. Bernie Villadiego saw 15 to 20 patients a day, made treatment decisions based on what insurance companies would reimburse, and, ultimately, grew cranky and bored. Much like the nation's economy, Ventura County's commercial real estate market is showing some signs of slowing, but real estate professionals say the overall market conditions remain robust. When it comes to product shelf life, even cutting-edge video games have an expiration date. It's early on a summer morning, which means Bob Carlson can be found surfing a passion he indulges in daily, before heading off to his Santa Monica office. Spurred by reports that L.A. city departments have been hiring contractors with problem histories, city officials are setting up a program to weed out these poorly performing businesses. LABJ Forum--Rating of Chief Parks? Samuel Hoi, the new president of Otis College of Art and Design, started out as a lawyer who dabbled in art. But his hobby ultimately became his passion, and now it's his life's work. In the largest sale of naming rights outside of sports, Eastman Kodak Co. agreed to pay $75 million over 20 years to put its name on a new Hollywood Boulevard theater that will permanently house the Academy Awards starting in 2002. Real Estate Quarterly --- Can Government Really Get Results Sitting on Sideline? When it comes to cleaning up highly polluted sites, the common perception is that the government comes in, knocks heads together and forces the property owners to clean up, or cleans up the property itself. The sharp leap in the price of oil should be a wakeup call, warning Americans that dependence on imported oil and the politics of OPEC is a failed policy. Fox Plaza, arguably the Westside's most prized trophy building, is in escrow, and several sources familiar with the deal say the buyer is Donald Bren's Irvine Co.
Well, I lost them. All 60 songs. I don't know where I put them. They could be under a sock. They could be behind a credit card in my wallet. It's easy to take for granted the riches that have been delivered to our doorsteps by improvements in entertainment technology. Time was when venture capitalists and investment bankers represented different hues of the money spectrum. But investment bankers are now "getting in" earlier and earlier in the life cycle of a company. The world is not enough for some people. Take Dennis Tito founder, president and chief executive of Wilshire Associates. NETZERIO --- Lots of Insider Trading at Free Internet Provider NetZero Inc.
Executives at NetZero Inc., the country's largest free Internet access provider, have been unloading large blocks of stocks in recent weeks, raising concerns about the company's future prospects. If there is one L.A. site that showed the nation the pitfalls of trying to build on contaminated sites, it's the 35-acre former oilfield just west of downtown known now as Belmont. Office and industrial space in the South Bay is getting steadily scarcer as the Westside fills up and companies turn south in search of new digs. Despite financial earthquakes in the dot-com world, the Westside office market sustained its hot steak through the second quarter. High demand continued to push rents up and vacancy rates down during the period. The industrial market in the San Gabriel Valley stayed hot in the second quarter, with the strong economy and a variety of new tenants pushing the vacancy rate from 4.3 percent in the first quarter to a minuscule 3.9 percent in the second. In 1989, Cynthia Babich moved into a small but neat house near Torrance that had a backyard big enough to raise her chickens. But soon the chickens were laying eggs contaminated by the now-banned pesticide DDT. Try passing out Play-Doh at your next brainstorming session, and ask employees to make a shape representing your company. NBC's hit drama "The West Wing" has convinced millions of people that watching politics can be fun. Ever since NAFTA went into effect, L.A. has been losing a steady stream of apparel jobs to Mexico. More than 150 women from around the world gathered in Athens, Greece last month to discuss how to take full advantage of global trade and technology to boost company profits. At a time when Los Angeles County public health facilities are understaffed and a shortage of nurses appears likely to worsen, the county's health care system is facing continued belt-tightening and a hiring freeze that should last through September. If that maxim is true and who would dispute it it also applies to mutual-fund diversification. Rents are up, unemployment is down and the Democrats are coming to town. The city's getting ready for its close-up. Now it's the perfect time for L.A.'s political pyromaniacs to blow everything sky high. I often encounter companies that want more business but don't maintain an up-to-date database of current and former clients, referral sources and prospective clients. In the old days, retailers discouraged teenagers from hanging out in their stores they were a nuisance and they could scare away potential paying customers. Rina Maya has a very unusual expression on her face. She's smiling. Not tentatively, but broadly. The NBC Agency, a division of the NBC Inc., handles more than $1 billion in promotional airtime for the company's diverse broadcasting, Internet and cable assets. As the reality-based show "Big Brother" on CBS sinks in the ratings, executives at MTV are celebrating blockbuster ratings in the reality-based genre they helped pioneer almost a decade ago. There Goes the NeighborhoodThe Studio City Residents Association got some new neighbors a few weeks ago, but no one's baking them any cookies or rushing out to welcome them. In the battle between striking actors and ad producers in Los Angeles, ad agencies and their clients are fleeing to the other side of the proverbial Orange Curtain to find a haven. When it comes to the local public health system, there is no single institution more crucial than L.A. County-USC Medical Center. Next time you get a credit-card bill, take a look at the interest rate charged on your unpaid balances. I'll wager it's higher than you thought. For most of the life of the Web, Media Metrix Inc., a New York Internet measurement firm that dispenses data on which sites are most visited, has become the online equivalent of the Nielsen television ratings. Can cappuccinos, cinnamon buns and computers with high-speed Internet access make a dent in the digital divide? LABJ forum--Most Memorable Summer Job? Despite sounding as determined as ever to bring an NFL football team back to Los Angeles, Ed Roski Jr. no longer dreams of owning one. And now, even his chances of brokering an L.A. football deal are looking more remote. After a brief spell of relative quiet, International Rectifier Corp. is again setting the stock market on fire. Chances are, if you've ever itemized deductions on your income tax returns, you may have already played a small-stakes version of "audit roulette," in which you consider the likelihood of being audited against the value of the deduction. In the same week that scientists announced they had unlocked the secrets of the human genetic code, I tried and failed to hail a cab in New York City. Each spring when I plan my summer vacation, I fantasize about two weeks away without work worries. As my departure approaches, I inevitably face scenarios that could make me anxious about going away. NBC, which flubbed developing hit game shows like ABC's "Who Wants to Be a Millionaire" and reality shows like CBS's "Survivor," could have the magic touch when it tries to revive the prime-time soap genre with a new fall series, "Titans." Universal Music Group's groundbreaking online record label Jimmy and Doug's Farmclub.com has taken the next step in penetrating the Internet, as the first client to sign up for a new e-commerce service offered by music retailer Guitar Center Inc.
FORTUNE 500 --- L.A. Giants: Who'll Stay, Who'll Go? Every year, the Business Journal compiles a list of L.A. County's 100 largest public companies. And every year, there are fewer Fortune 500 companies on it. Northridge Hospital Medical Center is trying a novel experiment that is being closely watched by other hospitals trying to ease conditions for thin-stretched emergency room staff. Summer is one of the most popular times of the year for single men and women to enter holy matrimony. For the makers of wedding dresses, that means a rush to put the finishing touches on gowns for summer ceremonies. Michael Pachter, new director of research for downtown Los Angeles-based Wedbush Morgan Securities Inc., is ramping up in a bid to grab more investment banking business. There's no shortage of office space available in downtown Los Angeles, where the vacancy rate edged up to 22.5 percent in the second quarter, according to just-released stats from Grubb & Ellis Co.
Five years ago, fresh off the success of her hit movie "Clueless," Alicia Silverstone signed a $10 million deal with Columbia Pictures to start her own production company and make two films to be distributed by Columbia. The Simone Hotel is, by most measures, a key part of the solution to downtown L.A.'s homelessness problem. Yet the city has ordered changes that may well put the Skid Row facility out of business. In the cutthroat world of selling cell phones, Motorola Inc.'s secret weapon is David Pinsky. With America's favorite pastime in full swing on both Little League and big league fields, L.A.-area batting cages are hopping. Two wealthy Latino leaders who have worked their way up from the bottom are launching a program in Los Angeles to help other Latinos start their own franchises. More than 300 British and American business owners, investors, government officials and journalists convened in London recently to exchange ideas and strategies aimed at encouraging entrepreneurial ventures on both sides of the Atlantic. The answer to that age-old question Can white-collar workers be enticed to live downtown? appears to be yes. Two developers who took the plunge into downtown housing are starting to see their high-stakes gamble pay off. Call it the L.A. Summer Uniform, the standard outfit for male Angelenos between the ages of 30 and 45 when off work: khaki shorts and a plain white T-shirt. As L.A. County struggles to reinvent the way it provides services to the uninsured, a key factor is preventing illness and accidents to begin with. As developers scurry to cash in on the renaissance taking place in Hollywood, the L.A. Community Redevelopment Agency is looking for a piece of the action. Mark Finucane, head of the county health department, was the point man in securing a federal waiver to keep the system going. Does he have a long-range remedy? With school spending high on the agenda in Los Angeles, Sacramento and Washington, D.C., few companies stand to benefit from the coming construction boom more than Virco Manufacturing Corp.
A robust economy, smoother permitting process, and the perpetual search for new and interesting locations have brought about a huge increase in the number of still-photo shoots in L.A. County involving advertising, fashion, marketing and other materials. As Mexico revels in its biggest political overhaul in more than 70 years, it's looking like the Los Angeles economy could also become a big winner as a result of the landmark election. While business owners' complaints can still be heard along the torn up stretch of Santa Monica Boulevard in West Hollywood, they are now being accompanied by sounds of excited anticipation as tangible results of the project begin to surface. Nancy Corcoran remembers when the only people who practiced yoga were, in her words, "weirdos." At precisely 5 p.m. on a Friday several weeks ago, listeners who were tuned in to radio station KKBT-FM 92.3 heard a low buzzing sound that lasted about five seconds. For some reason, the appearance of junk e-mail in our computers' in boxes inspires anger much greater than our annoyance at junk mail, telephone salesmen or any other real-world equivalent. As dot-coms struggle to attract customers and cash, investors have fallen in love with another bit of digital-age jargon: b2b. Hey Phil Jackson! You've just won your seventh NBA championship! Where are you going? To the casual eye, the first half of 2000 in mutual funds hasn't amounted to much. Most businesses and all government offices will be closed today. Considering this year's holiday falls on a Tuesday, a lot of L.A. offices will be closed on Monday, too, as Angelenos enjoy a four-day weekend. Don't get burned. David Lee and Barry Porter, the two senior-level managers who helped Gary Winnick build Global Crossing Ltd. into a telecom powerhouse, aren't wasting any time getting their new venture capital firm off the ground. FOREIGNERS --- Foreigners Making More Venture Investments in L.A.
Local startups are finding that overseas investors can be a much more agreeable source of funding than U.S.-based venture capital firms or angel investors. Yesterday, in a meeting with the senior managers of my business, I rejected a new marketing idea. Despite the slate of industry heavy-hitters at the helm, the music division of DreamWorks SKG has not translated considerable critical acclaim into blowout record sales. Ending a cliffhanger debate that has long jeopardized Los Angeles County's overstressed health care system, federal officials cleared the way for the release of more than $1 billion that will keep clinics open and provide medical care to poor people. Just three months ago, El Segundo-based Hughes Electronics Corp. was riding high. The fight over whether to make Pershing Square a designated protest site during the Democratic National Convention in August could well cost the Biltmore Hotel around $250,000, not to mention a priceless amount of publicity. Every now and then, some large American corporation does something so stupid that it reminds you all over again that the people who run them should be regarded as guilty until proven innocent. L.A. public relations firms continue to enjoy an extraordinary growth spurt that began two or three years ago. NORTHROP --- Northrop Taking Flight? Northrop Grumman Corp., one of L.A.'s last remaining major corporations, is aggressively reorienting its operational focus to the East Coast, raising questions about whether it might soon abandon L.A. altogether. One minute they're stonewalling, the next minute they're begging you to listen. I'm speaking of the companies that create consumer credit scores. CIM Group, which made its mark by redeveloping the Third Street Promenade and other urban main streets, is discovering that for even the most respected developers, raising an equity fund is no picnic. 25 Lrgst PR & Casualty/Prop. One of my senior staffers recently began working on business development for our company, which means he calls potential clients to convince them to learn more about us and hopefully to buy. The condor, the kangaroo rat and the blunt-nosed leopard lizard are just some of the animals considered endangered in this state, but there's another species that could be added to the list: the California bankruptcy attorney. For many companies entertaining the idea of going public, there may be an alternative to the traditional IPO. Everyone knows entrepreneurs are risk-takers and innovators, but it may surprise you to learn that the tendency to start a business is believed by some industrial psychologists to be present at birth. When Clear Channel and AMFM Inc. announced they would merge last fall, creating the largest radio network in the country, executives at KACD-FM 103.1 knew the station would be among the first to be sold off. Two years after being approved by City Hall, Century City's last high-rise is finally on the verge of breaking ground. When the circus comes to town next month, it may look the same but it sure will sound different. Having a bad hair day? One hip way around it for women, especially teens, is to wear a kerchief, a cotton headpiece that resembles one of those big bandannas the cowboys wore on the dusty range. The enormous growth in Asian imports coming through the ports of L.A. and Long Beach hasn't just meant more business for warehousers and longshoremen; logistics providers are seeing a record year. The work of most balloon artists revolves around inflated dogs, giraffes and other animals. But Drake Diamond has taken his art to another level, creating everything from balloon houses to a 40-foot airplane replica. Mitch Albom --- Executions: More Murder Than Justice? Procter & Gamble Co., the largest U.S. maker of household products, plans to sell almost 100 Internet domain names through GreatDomains.com, a Chatsworth auction site.